I absolutely LOVE my club girls! We have become sisters! That's what happens when you meet on a monthly basis and share LIFE together - the joys and sorrows, the accomplishments and trials. This month I wanted to do a little something special for my girls so I made them each a personalized note card set - including a personalized stamp! This project was inspired by (and pretty much copied from) my dear friend Lisa Stenz. 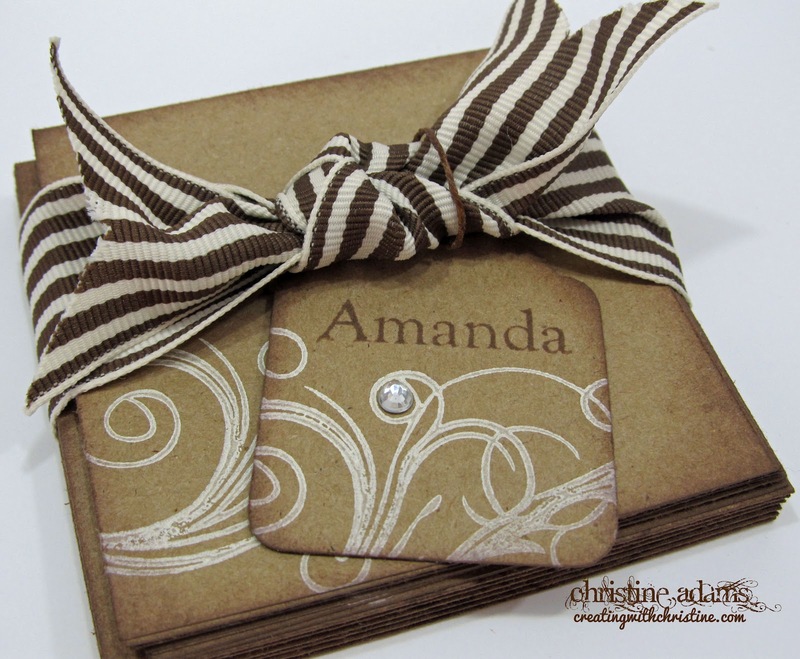 It's super simple, and I think that's what makes it super adorable! 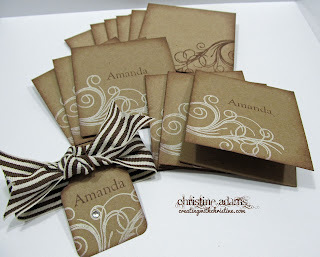 I simply created 3x3 kraft cards, added some of our 3x3 kraft envelopes, stamped a design (from our Instant Memories stamp set) with our colonial white pigment ink and added the name with chocolate ink. 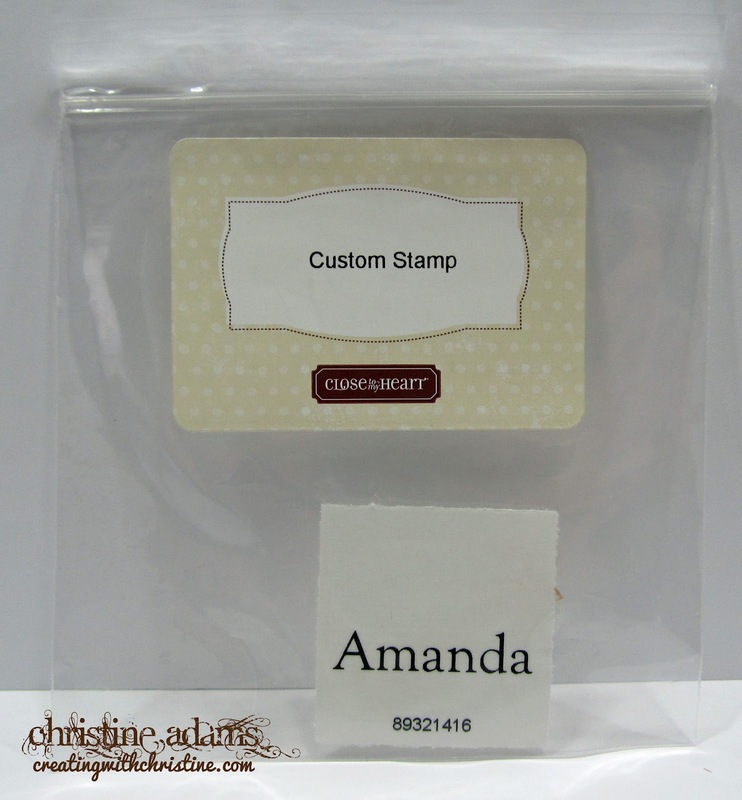 Here is the personalized stamp that goes with each set! 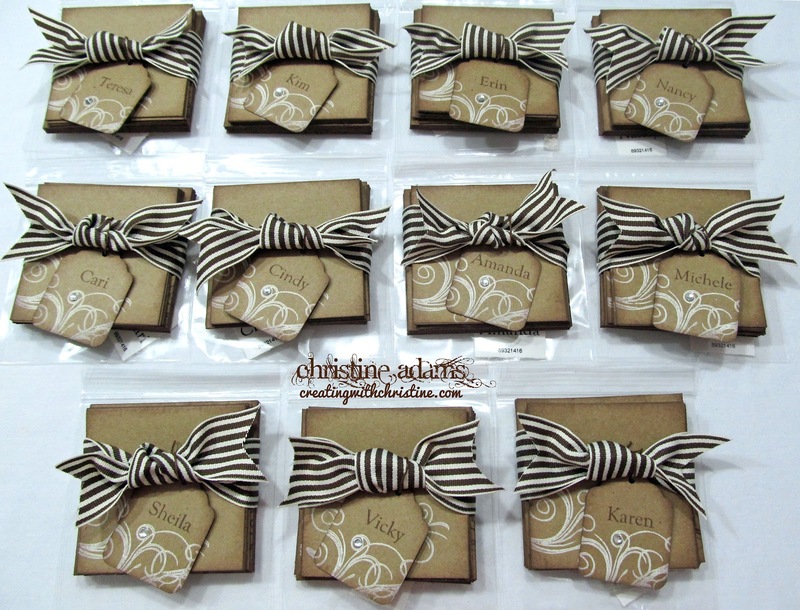 If you haven't ordered these before, they make GREAT gifts! 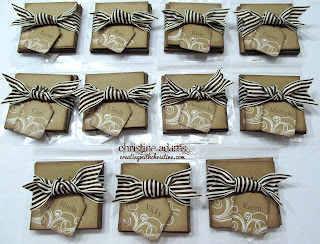 I inked the edges of everything with chocolate ink and added some of our wide chocolate striped ribbon with a personalized tag with one little sparkle - signifying the "jewel" that they are to me! Love you girls! See you Friday night! PS - If you would like to join the fun and perks of being a club member contact me for more information. I have new clubs forming and ready to start soon for both local and long distance participants! Stunning set! Happy gals, I'm sure. 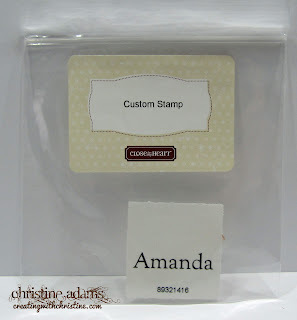 Love the custom stamp idea, too.